At one point, wireless cans were among the most expensive headphones, available only to those with deep pockets and enough patience to deal with their limited sound quality and battery life. But in the past decade, the entire headphone industry has seen something of a renaissance. Now, you can find top-notch wireless solutions for your listening needs — with great sound quality, reliable wireless connection, and a comfortable fit, all at a relatively affordable price. However, with so many choices available, it’s hard to figure out which might be the best wireless headphones for you. 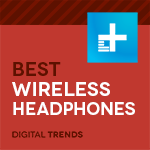 To make your search easier, we compiled a list of the best wireless headphones you can buy, at a variety of price points and for multiple uses. Why you should buy them: Top-tier sound, excellent comfort, and (of course) impressive noise canceling make Sony’s WH-1000xM3 the headphones to beat. Who they’re for: Those who are looking for total sonic isolation and wireless convenience, but don’t want to give up high-fidelity sound to get it. Sony makes some absolutely incredible wireless noise-canceling headphones. In fact, in the last iteration of this article, Sony’s WH-1000xM2 earned the top spot (and a 5/5 rating in our official review), thanks to an unbeatable blend of comfort, control, and audio quality — not to mention the fact that they isolate sound as well as any cans we’ve used. They weren’t just our favorite noise-canceling headphones — they were our favorite headphones — period. This time around, we’ve decided to elevate another pair of Sony phones to the apex of our list — the WH-1000xM3, which actually improve upon the WH-1000x in many small ways. Underneath ultrasoft leatherette earcups, the WH-1000xM3 pack in dual 40mm dynamic drivers that bring both movies and music to life with stunning, warm detail. The headphones offer excellent instrumental separation, with powerful bass response matched by precise performance in the mid and upper registers. The Sony Headphones Connect app allows for lots of personalization and fine-tuning, letting you adjust ambient sound reduction and optimize audio based on atmospheric pressure (an awesome feature for frequent flyers). Sony’s DSEE HX processing engine also automatically upscales compressed audio from sources like YouTube to ensure the best possible listening experience. Are there headphones with better noise cancellation? Yes — just scroll down! But there are no better headphones with noise cancellation, and we think you’ll agree. Why you should buy them: Extreme comfort, six-hour battery life, sweat resistant. Who they’re for: People who want affordable, comfortable wireless earbuds with great battery life. With a compact, ergonomic fit, an included wireless charging case, and six hours of listening time on the go, Samsung’s Galaxy Buds offer listeners the best on the market in terms of both technology and design. The small headphones are designed to provide go-anywhere, do-anything sound, with built-in earfins and IPX2 sweatproofing that allow them to be a companion during rainy winter walks and sweaty workouts alike. Samsung’s app-based customizations allow you to adjust equalization, find your headphones, and even hear sounds from the outside world — which is especially useful during outdoor workouts or unfamiliar trips on public transit. Such an assortment of useful features make Samsung’s Buds your best everyday listening pal, providing you with just what you need, right when you need it. The best part? The Galaxy Buds cost a decent amount less money than models from Apple and Jabra, making them an absolute no-brainer when it comes checkout time. Why you should buy them: A searing blend of high performance, good looks, comfort, and features galore. With the HD1s, you get everything we love about a quality headphone experience — comfort, durability, reliability — all without the worry of wires. You’re also really getting two great sets of cans in one, as plugging these in converts them into a top-tier over-ear that competes with the best of them. Whether you’re listening via Bluetooth or the traditional headphone jack, these headphones boast brilliant sound performance with a big soundstage and powerful, authoritative bass. Oh yeah, and you also get decent (though not fantastic) noise cancellation, easy and intuitive playback controls, automated voice prompts, excellent call quality, style — yeah, these are great cans. One interesting feature of note is that if the headphones are on, so is noise cancellation — there is no off button. However, while you might think that would get annoying, the isolation really just serves to provide better sound performance and has yet to present any issue in real-world use for us; if you’re jamming out with over-ear cans, you probably won’t be very responsive to the world around you, noise-canceling or not. You can often find the previous version of these headphones — the Momentum 2.0 — at a dramatically lowered price online if you want to save a few bucks. Why you should buy them: You want a simple pair of in-ear headphones that are both streamlined and more affordable than other models of similar quality. Who’s it for: The discerning shopper looking for a pair of quality in-ears. In an age where earbuds have largely replaced over-ear and on-ear headphones as the average commuter’s listening device of choice, it’s scarily easy to find some really bad in-ear headphones. Scores of model line store shelves and cost anywhere from $10 to $20. Unfortunately, as with most material things in life, you get what you pay for, and the reality is that while their price might not immediately read as “budget,” in the world of high-quality in-ears, the Shure SE112 Wireless are a steal. When we reviewed the SE112’s wired version, we were pleased to find an affordable pair of in-ears with high-performance quality. We were also impressed with several other aspects of the Shure SE112, including the excellent passive sound isolation and great design and construction. The wireless model, naturally, adds the benefit of unfettered connection via Bluetooth to the already stellar sound and build quality. But there’s more. The wired version of the Shure SE112 Wireless lacked an inline mic for phone calls, but this has been rectified with the SE112 Wireless. An inline mic and remote sit on the right-hand side, making them even more of an upgrade over their wired predecessors. While you could buy wireless in-ears for less, these are the best budget in-ears you should buy. Why you should buy them: They’re cheap, comfortable, and bursting with features. Who’s it for: Those looking for the best features for their money. With 30 hours of battery life, active noise cancelation, and a simple and understated design, TaoTronics’ TT-BH060 are the low-budget champion of the over-ear headphone universe. The hyper-affordable over-ears come inside a woven hard case with an included 3.5mm cable for wired listening, and easy-to-use controls make it quick and painless to change songs, adjust volume, and turn the active noise cancellation off and on. The sound is warm and balanced, with the headphones offering tight and energetic bass, but not overwhelming with muddy personality in the midrange. Plus, the active noise cancellation provides an incredible austere musical canvas over which to paint, allowing these headphones to really shine. If you’re in the market for a great pair of over-ear headphones to pair with that jackless phone, these are just the ticket. Why you should buy them: Noise canceling, solid battery life, and great sound. Who’s it for: Those who are looking for vivid sound and noise-canceling that won’t break the bank. Phiaton has been at the vanguard of the Bluetooth headphone charge for years, and for good reason: Its headphones are still some of the best. When it comes to in-ear wireless options, the BT 100 NC stay true to the company’s impeccable track record. Armed with Bluetooth 4.0 and AptX support for near-CD quality sound on compatible devices (i.e., select Android phones), the BT 100 NC deliver not only superior sound quality, but also the ability to connect to multiple devices. Better yet, you’ll be able to focus in on what you’re listening to, thanks to noise canceling and silicone tips that create a top-notch seal in the ear. That makes the BT 100 NC are particularly well-suited to travel. With so much functionality, you’d expect a reasonably hefty price tag, but the BT 100 NC are offered at a killer bargain. While there is the newer $150 model, you won’t be losing out by going with the BT 150 NC. Why you should buy them: You won’t find better noise-canceling tech out there. Who’s it for: Those who listen in noisy settings like offices or public transportation. Frankly, you just won’t find better active noise canceling, period. The QuietComfort 35 Wireless Headphones II (we’ll stick with QC35 Wireless II, for short) are at the forefront of Bose’s noise-canceling fleet. Listening to music with the QC35 Wireless II is a pleasure. The sound quality is remarkable, and the headphones boast Bose’s lightly boosted bass signature that has defined the brand’s headphones for over a generation. It’s worth mentioning that, while Bose is clearly proud of its enhanced low-end properties, this feature has proven divisive in audiophile circles. That said, we mean it when we say these are the best noise-cancelers out there, even edging out our top pick, the Sony MDR-1000X, in this category. While that covers the “quiet” in QuietComfort, we should mention the “comfort,” too. The QC35 wireless come in a stylish, understated black or silver finish, and feature a lightweight build with generous padding that keeps them comfortable even after long listening sessions. Got an international flight to tackle? The Bose QC35 Wireless II not only have a robust battery to last the trip, but they’ll feel great the entire time. Why you should buy them: Solid sound, good battery life, and sweatproof performance. Who they’re for: People who want comfortable wireless autonomy, great usability, and sweatproof performance. Jabra’s Elite Active 65t may resemble tiny versions of the Bluetooth headsets that once helped define the brand, but don’t be fooled by the design throwback; they are easily some of our favorite true wireless headphones right now. With five hours of battery life, an IP56-waterproof rating, and a myriad of useful app-based features, the 65t are awesome in even the sweatiest circumstances. Three sets of silicone tips and a very comfortable design all but guarantee a perfect seal in your ears, serving up a comfortable fit with excellent passive noise isolation. Sound comes through clear and detailed, with punchy bass and a surprisingly nimble treble register. Five hours of battery life per charge puts them among the best you will find on the market, and a charging case adds two extra charges. The company’s Sound+ app allows you to adjust equalization and pick whether or not you want to use your phone’s built-in smart assistant (Siri on iOS, Google Assistant on Android) or Amazon Alexa — a nice option for those who use Alexa at home. Like Apple’s AirPods, the headphones automatically play and pause music when you remove them from your ears, but go even further by piping in adjustable ambient sound — which is great for hearing announcements on the train or that angry driver behind you while you’re biking to work. The IP56 rating means you won’t have to worry about damaging your headphones with liquids or moderate amounts of dust. Simply rinse them off after a particularly hard workout, and you’re good to go. We run every pair of headphones through a rigorous process over the course of several days. That includes playing them in all sorts of scenarios — be it on a bus, in the listening room, or at the office — and playing back from a wide array of sources. We know most people use their headphones with a smartphone, often with lower quality MP3 resolution tracks, so we do, too. However, we also move up to high-resolution audio files, as well as a wide variety of sources, including plugging in directly to a PC or Mac, using USB DACs (digital-to-analog converters), and employing high-quality dedicated portable players and amplifiers. Finally, we compare the headphones to some of our go-to models, both in their class and price point, as well as a level or two above to find out if they can punch above their weight. Still looking for late holiday gift ideas? We’ve found the best last-minute gifts and stocking stuffers to help you out.